Bleeding gums and allergies share the same root cause of an unregulated immune system. Learn how to curb inflammation in your mouth and body through diet. It’s happened again – you’re flossing and your gums begin to bleed. Or you’ve gone to the dentist and found out you have another cavity. But you take great care of your gums and teeth. How can this be? You regularly brush and floss. You even consider what you eat and drink to give your pearly whites the best chance possible at remaining healthy throughout your life. If you have bleeding, sensitive, swollen gums, and allergies that aren’t caused by poor oral health, it could be caused by a vitamin deficiency. I’ve noticed that many patients with allergies, who mouth breathe, and regularly experience blocked sinuses are the same patients that have inflamed red bleeding gums, which can progress to gum disease. And vitamin D deficiency is often at the root cause of it all. It’s fascinating to me, that in the dental realm especially, we barely try to find an underlying cause to conditions such as gum disease. Shouldn’t the rising rates of gum disease raise concerns and questions? If we’ve gotten better at taking care of our teeth and yet periodontal disease is at an all-time high, doesn’t this indicate that something else is to blame? Maybe it’s not so much oral hygiene but instead a lack of the right nutrients. More than ever, we are learning about varying allergies and intolerances that cause chronic inflammatory conditions such as bleeding and swollen gums. 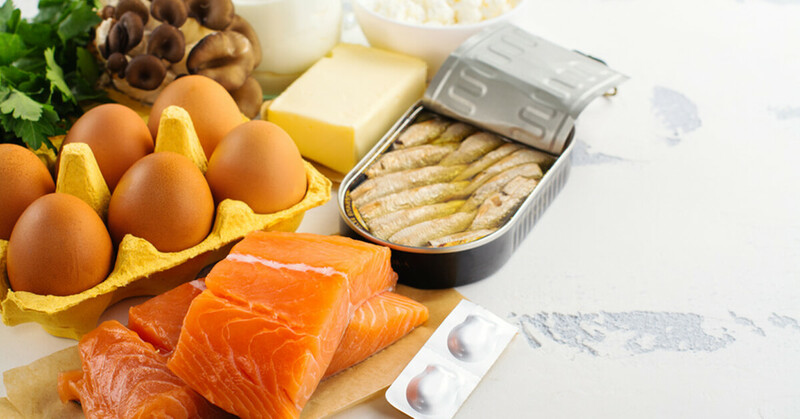 Let’s look at how vitamin D helps gut microbiome balance, calms inflammation, and boosts your immune system, and alleviates allergy symptoms. The body is a complex system of symbiotic relationships. When one part of the system is thrown off balance it can lead to a cascade of health consequences. Only by considering the body in its entirety can we begin treating the root causes of illnesses, including gum disease. As our diets have become higher in processed foods, simple carbs and sugars, we’ve seen an increase in inflammation, disease, and food sensitivities. Isn’t it time that we start considering these issues as a whole system, instead of putting Band-Aids on symptoms, which ignores the underlying system and ultimately does more harm than good? The Dental Diet focuses on reducing inflammation, maintaining gut and oral microbiome balance, boosting your immune system, and proper nutrient absorption. And at the end of the day The Dental Diet is great for your whole body because it considers the various systems and their intertwining impacts on one another. After perusing the profound information on your website, I pre-ordered a copy of your forthcoming book, on Amazon.com. Wow, I didn’t realize this was a sign of vitamin d deficiency. I am from the UK and found your website by chance as I have been trying to research probiotics etc to improve my gum health. I am 49 and have struggled with gum disease for years despite good oral hygiene, sugar-free toothpaste, cutting out refined sugar in my diet (more because it makes me feel very unwell) etc etc. I have also had leaky gut syndrome but have worked very hard to improve that. However, I continue to be incredibly frustrated about my gum health. I do take vitamin D3 but am interested to know how much I should take each day – I take liquid rather than tablets. I have ordered a copy of your book so am looking forward to reading that but any advice you can give me in the meantime I would be very grateful. Rae Spencer-Jones.